In your daily “awww,” the dog actress (is there still not a less informal word for that?) 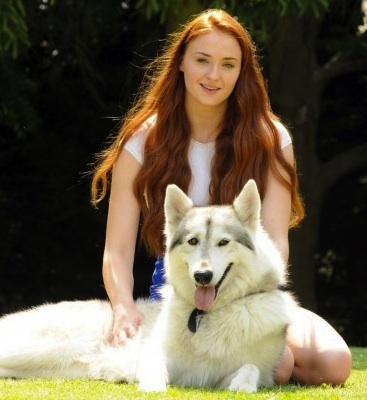 who played Lady on Game of Thrones was adopted in real life by Sophie Turner, aka the actress who plays Sansa Stark. I wish I had enough space to “re-home” all the animals I’ve mourned in film and TV, but I only mean that if Mufasa counts. And the octopus from Oldboy. Next Next post: Ben Affleck Is The New Batman … How Does That Make You Feel?